Have Your Child Breakthrough To Mastering The Essential Skills To Solving Math Problem Sums Regardless Of The Timing Of Tests And Examinations! Changes To The Education System Is Ever Evolving But One Thing Remains Unchanged - Examination To Measure Performance And Benchmark. And Your Child Can Only Perform Consistently When She Learns The Essential Skills Taught Through High Quality Of Instruction From Proven Curriculum, Teaching Approaches And Encouraging Environment. She Learns Right She Performs Right Consistently! Register NOW for a FREE Session for your child to experience the BREAKTHROUGH in Solving Math Problem Sums Consistently Well! While your child enjoys a firsthand 2-hour experience with our onSponge Coaches learning the fun and ease of solving Math Problem Sums, you will participate in an engaging and lively session with our Senior Trainers to gain tips on how to better support your child's learning at home so he can "Learn Right To Perform Right Consistently." This is a great opportunity for you to visit any of our 10 certified learning centres, Oodles Learning to meet the coaches whom are trained by onSponge and experience what thousands of students have learnt to help them score in their Math consistently. We are making this event FREE for you and your child so don't miss this chance to "Learn Right To Perform Right Consistently! With more than 10 branches located island-wide, there are more than 20 sessions of Parents Sharing and Trial Lessons to choose from! Register for Open House online now! To register for the Parent Sharing Session on "Learn Right To Perform Right Consistently", please complete the online form below. The centre will contact you within 3 working days to confirm on your registration for the Parent Sharing Session and the Trial Lesson for your child. Seats are limited and are taken up very quickly! So do register early for your preferred location and timing NOW! 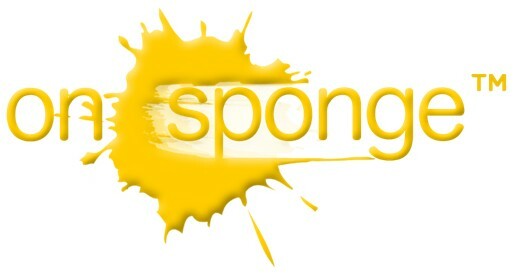 For further assistance, you may also write to admin@onsponge.com or call 6677 6643. Selection of Open House Redhill - 7 DEC 7pm (P3 to P6) Clementi - Please contact me for free math assessment. Bukit Timah - Please contact me for free math assessment. Hougang - Please contact me for free math assessment. Jurong East - Please contact me for free math assessment. Sembawang - Please contact me for free math assessment. Marine Parade - Please contact me for free math assessment. Tampines - Please contact me for free math assessment. Upper Thomson - Please contact me for free math assessment. Punggol - Please contact me for free math assessment. See you at Open House 2019!